Although plastic floats, and most closed cockpit kayaks are supplied with additional built in buoyancy, it is widely recommended that extra buoyancy is added to your canoe or kayak, especially on moving water. The more buoyancy that is a added, the higher the boat will float in the water and the easier and quicker the boat can be rescued and emptied out. 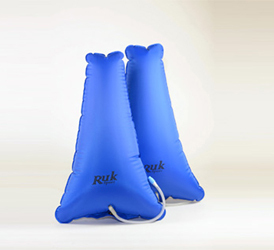 These classic heavy duty floatation airbags from Palm Equipment feature screw-lock valves and are shaped shaped to fit modern kayaks. Available in a range of sizes to fit the stern or bow (behind the footrests) of white water kayaks. Features which set these aside from others, are a quick deflation dump valve, securing eyelet and a 70D PVC coated heavy duty fabric. 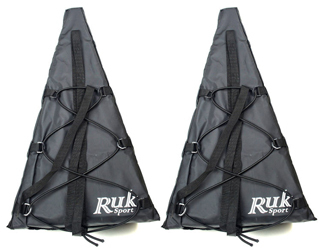 Supplied in pairs, and available in three sizes to fit a wide range of kayaks. These air bags are commonly used in closed cockpit white-water kayaks to supply extra buoyancy in the event of a capsize or rescue. 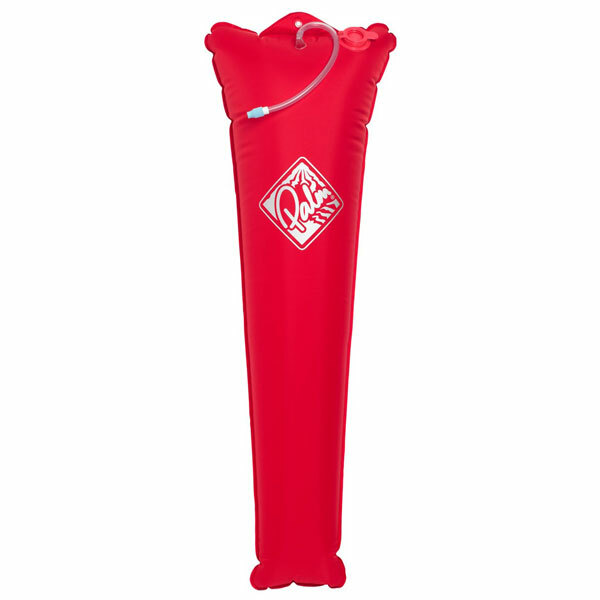 Constructed from a durable Terylene coated nylon material, and easily inflated/deflated using the twist style valves attached to the supply tubes. These airbags also have brass eyelets built-in, so they can be secured into place within the kayak. 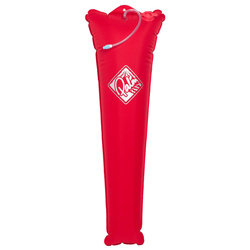 Please contact us if you are unsure of which size or air-bags your kayak would require. 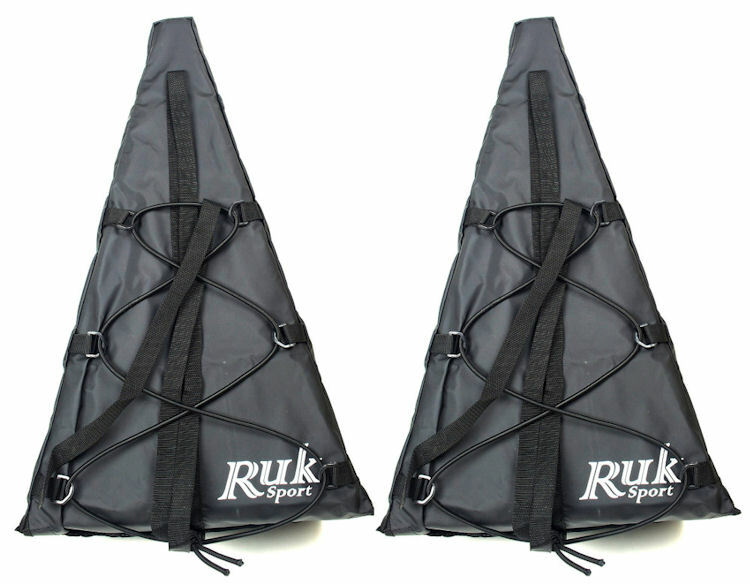 These open boat buoyancy blocks are supplied in pairs and designed to sit within the ends of the canoe. Once secured they add additional flotation to the canoe in the event of a capsize or swamping. In most cases inflatable canoe airbags will provide a better fit, as they will ‘mould’ into the shape of the space. 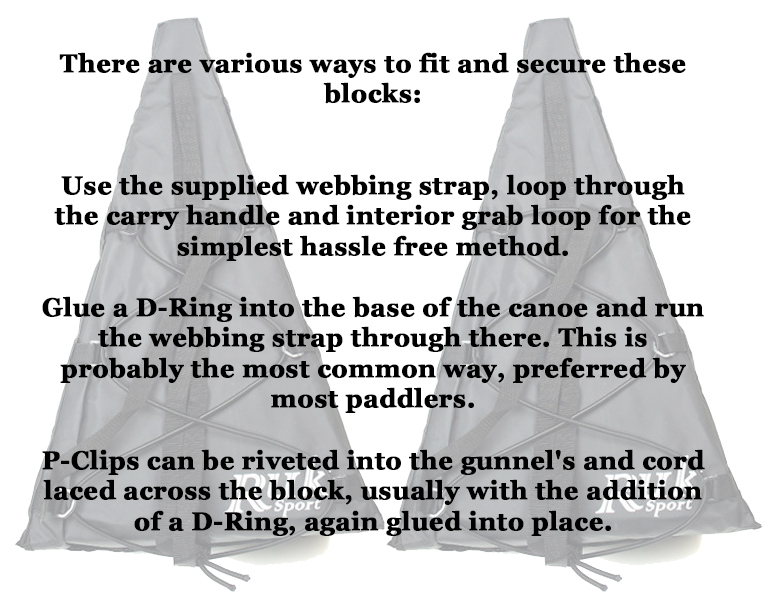 The buoyancy blocks are one size and designed to fit most open boats, but will fit some sizes and shapes of canoe better than others. The main advantage of these solid blocks is they will not puncture like an inflated bag, being more robust and should provide a simpler alternative that is simpler to fit and need no maintenance. 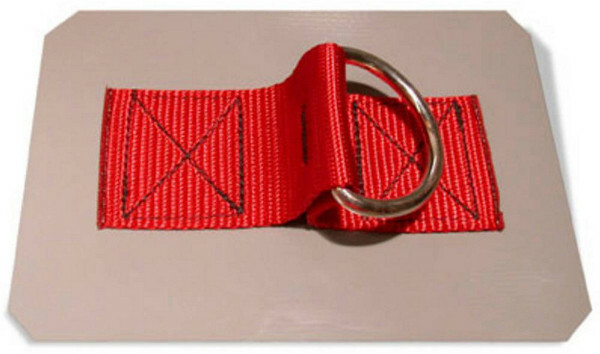 Supplied with an integral lashing strap and mesh pocket. Click Here To View Fitting Options. These 3D airbags from Palm Equipment have been incredibly well thought out for such a simple piece of kit and considered amongst the best out there. Packed with lots of nice features, they are also cleverly shaped to fill the end of most models of open boat, leaving no voids. Please note- the user will need to secure these airbags into their canoe for them to work effectively. We recommend a Lashing Kit and D-Rings as the most popular way. However there are many other methods that can be used, contact us if you have any questions. 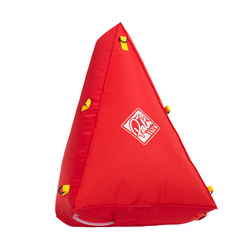 A complete kit for securely installing buoyancy blocks or air-bags into your canoe. Contains Pop Rivets, P-Clips, and enough Cord for fitting a pair of bow and stern buoyancy bags or blocks. Full fitting instructions supplied, however please note you will need a Pop Rivet Gun and some knowledge of how to operate one to fit this kit. A unique piece of equipment like no other! 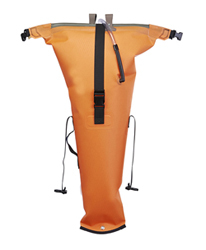 The Stowfloat fits in the rear of a white-water kayak and is inflated via the screw-valve tube like most other stern airbags. What sets this aside from others, is that the wide end of the bag can be opened and re-sealed using Watersheds incredible Zip-Lock System, making an airbag into a drybag. 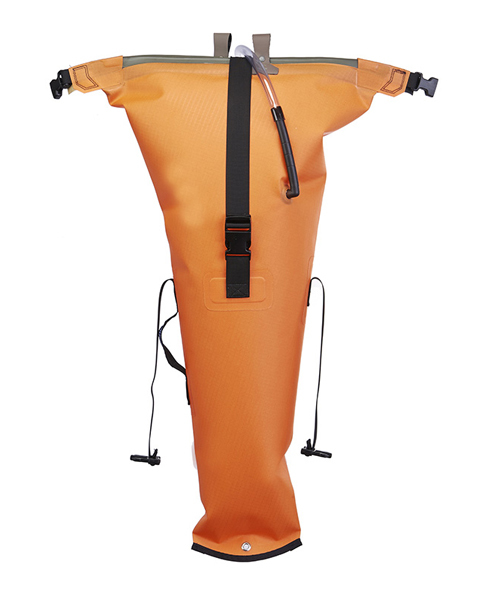 Completely watertight, the Stowfloat is a popular choice for expedition kayakers completing overnights on multi-day river trips and being totally self sufficient. All manner of equipment can be stored safely and kept 100% dry in these Stowfloats such as sleeping bags, warm clothing, camping kit etc. 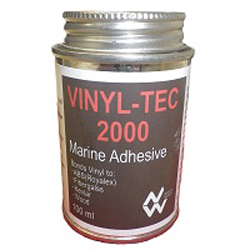 This incredibly strong marine contact adhesive is recommended for fixing D-Rings into the floor of open boats. No mixing required, and it dries clear. Suitable for use on many different material types, including Royalex, Tuffstuff, Composite and Plastic canoes. One 100ml tin will easily do a pair of patches, and is supplied with an applicator brush in the lid and full instructions printed on the tin. The perfect solution for attaching airbags and/or buoyancy blocks into an open boat. Can also be used as tie-in/anchor points for connecting karabiners, barrels and other accessories. We would recommend the using a contact adhesive to secure these to floor of canoes or rafts. 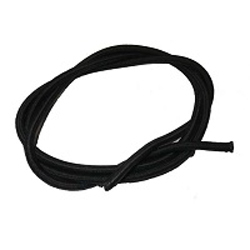 Sold by the metre, this high quality black coloured bungee cord has a wide range of outfitting applications, including lashing flotation bags and blocks into open canoes. Sold by the metre, 10mm brightly coloured floating rope can be used for various outfitting canoe projects. Including lashing, painters or end grabs.